…you could just join me while I blithely pack up Christmas ornaments. 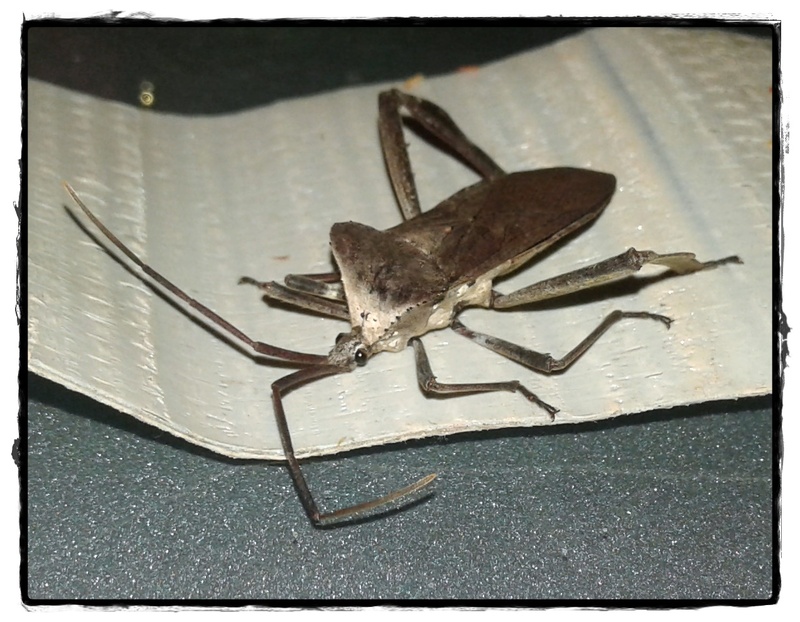 “WTF Golly Gosh!”, I said as I noticed this harmless leaf footed bug who had died while stuck to the duct tape. He belongs to the stink bug family so DON’T SQUISH HIM, if you see a live one. 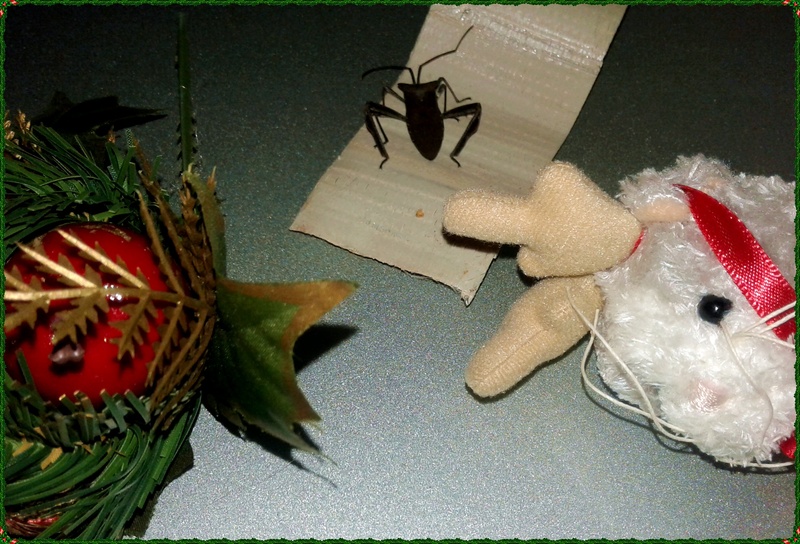 Then I started climbing up into the attic and noticed yet another mummy, above, that must have been under the Xmas boxes. Nearly fell off the darn ladder! Why is he decapitated? Is this an omen for 2019? This is a wonderful resident of Texas known as the tree roach. 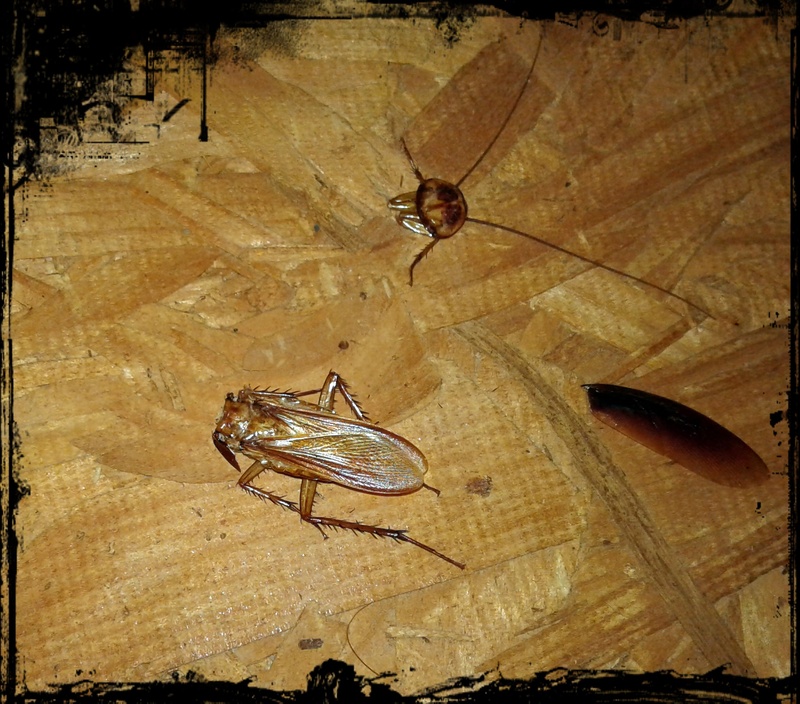 Most folks who move to Texas from other places are delightfully surprised that the giant roach they are trying to stamp on, FLIES into the trees! The biggest one I saw was 4 inches long and SLEEPING UNDER MY PILLOW. Even the bug man shuddered. Teddy and I both screamed. 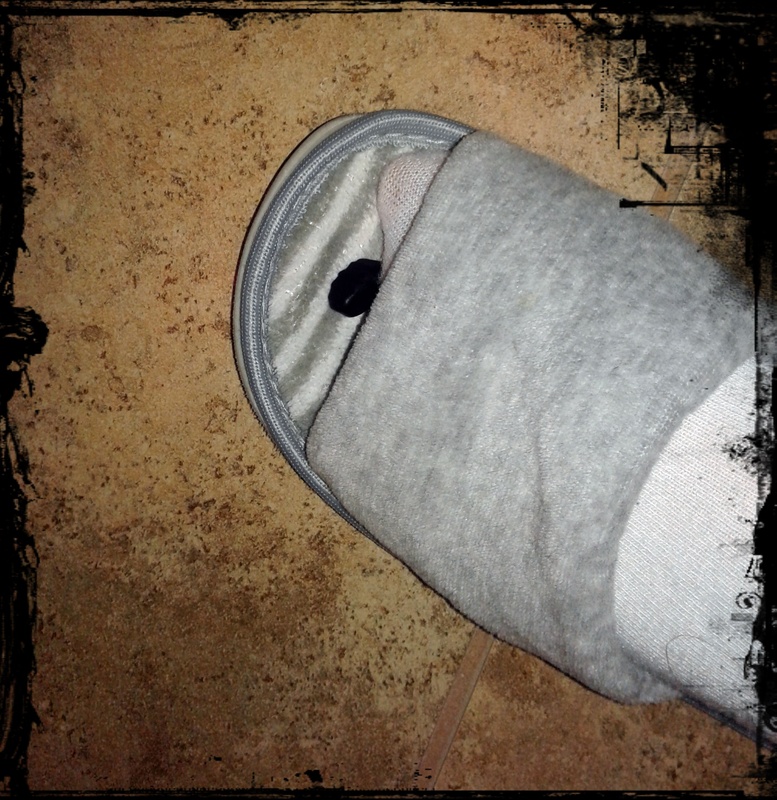 I had to re-stage the photograph because I cussed again and threw my slipper off with the black THING. It was a Welch’s fruit pastille/candy. Heavens to Betsy, I do hope this is how 2019 is going to continue because it really made me laugh and pee a little. If you are not one of the 45 million people who downloaded “Bird Box” from Netflix – it is a scary movie with an excellent cast. Perhaps I should ask guests to wear a blindfold when they visit my house?